Following on from the positive response to Vivienne Parry's 'A Nasty Case of the Vapours' in which the ailments of literature's great heroines were dissected and finally diagnosed using modern medicine (and a good deal of hindsight), 'Madwomen in the Attic' will consider bedside analysis from afar for the mad, bad and sad heroines of classic fiction through the eyes of modern medicine and psychiatry. Aided by psychiatrists and literary critics Vivienne Parry will steer a course through classic fiction's fascinating depictions of madness and mental illness, including the first Mrs Rochester in 'Jane Eyre', Lady Glyde in Wilkie Collins' 'A Woman in White' and the (undoubtedly maddening) Emma Bovary in 'Madame Bovary'. The literary and the medical intersect and the programme draws on both strands of expertise. 'Jane Eyre' Bertha Rochester's madness is animalistic, violent and feral - the archetypal 'madwoman in the attic' whereas 'The Woman In White' evokes the asylum as a sinister place, 'bins' where women could be interred against their will. Meanwhile Freud once said that wherever his work took him, the great works of literature had got there first: some psychoanalysts read 'Madame Bovary' as close to a Freudian case history as a novel can get. What does the depiction of their illness say about the author's, or wider societal views of madness at the time of publication? And what does their situation say to us today? These are texts situated between 19th century, physician-driven notions of mental and - by implication - moral health and the origins of mental health as a science, the (thankfully) short-lived 'mental hygiene' movement and the beginnings of modern psychoanalysis, a body of thought which has itself influenced literary criticism. Contributors include Adam Phillips, Sandra Gilbert, Professor John Sutherland and Dinesh Bhugra, president of the Royal College of Psychiatrists. The producer is Simon Hollis. This is a Brook Lapping production for BBC Radio 4. The violent and feral Bertha Rochester in Jane Eyre, the mysterious Woman in White whose escape from an asylum begins Wilkie Collins's gripping thriller, and the terminally delusional Emma in Madame Bovary. But were they really mad? Would we today recognise them as mentally ill or were our heroines merely misunderstood, not to mention a tad inconvenient? For Radio 4 documentary, Madwomen in the Attic, medical historians, psychiatrists and literary specialists gave their diagnoses of our troubled heroines. The picture of Mrs Rochester on all fours, baying at the moon, manic laughter ringing through the house, sadly still defines our notions of madness today. Yet even when Jane Eyre was published in 1847, Charlotte Bronte was criticised for her portrait of insanity. But Charlotte's brother Branwell was an opium-addicted alcoholic, subject to severe depression. "While she was writing Jane Eyre downstairs," says Anne Dinsdale, archivist at the Haworth Parsonage - where the Bronte family lived - "Branwell would have been raving in the bedroom on the second floor, where he had been confined because he was a danger. "He even set the bed on fire." Bertha Rochester does the same in Jane Eyre. "We have a letter from Charlotte to her publisher," says Anne, "in which she answered her critics saying that 'the character is shocking but all too natural'." "Bertha is the embodiment of the monstrous lunatic who requires restraint," says historian of madness, Catherine Arnold. 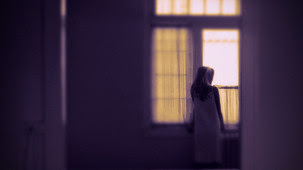 At the time, mental illness was regarded with shame and as evidence of familial "taint". Even though asylums were available, secrecy was better served by keeping the sufferer confined at home, as Rochester (and the Brontes) did. There has been much speculation about the first Mrs Rochester's madness. Notions of female insanity in the 1850s included "unrestrained behaviour," often merely Victorian-speak for female sexuality. "Attics are where wives who cannot be contained, who are over-sexualised and unruly are stored away," says writer and psychotherapist, Adam Phillips. And would not anyone have then gone mad, locked up in an attic with gin-sodden Grace Poole? The gloriously unhinged heroines of classic fiction have long been objects of fascination: the snarling Bertha Rochester stashed in the attic in Jane Eyre, Anne Catherick, skulking on Hampstead Heath on the loose from an asylum in The Woman in White and the ever-delusional shopaholic, Madame Bovary. But what does modern psychiatry say about these women and what does the depiction of their illness say about the wider societal views of madness at the time they were written? Of course we are in dangerous waters here. Back diagnosing psychiatric disorders from the pages of novels? Oh where’s the rigour? Madness here is surely a literary construct informed by the times, not to mention a fantastic plot device. Trying to put plotlines on the couch is sad, bad and wrong. But oh- so-much fun. So let’s do it anyway. The archetypal madwoman in the attic is presented to us in Jane Eyre, published in 1847. The demonic laughter of Mr Rochester’s first wife, Bertha Mason, rings through Thornfield Hall and she escapes from her attic prison and her gin-sodden carer, Grace Poole, setting fire to Rochester’s bed. When Jane eventually meets her, we are presented with a horrifying sight. A woman on all fours, growling and grovelling “like some strange wild animal”. It is true that profound pity ought to be the only sentiment elicited by the view of such degradation, and equally true is it that I have not sufficiently dwelt on that feeling; I have erred in making horror too predominant. Mrs. Rochester indeed lived a sinful life before she was insane, but sin itself is a kind of insanity; the truly good behold and compassionate it as such. The name of the programme bears witness to the lasting influence of the myth Charlotte created. But there are many points of the novel that make good references (though not always used correctly) in articles, columns, etc, as BrontëBlog readers well know. The rose-tinted ideals of Western romance culture have a lot to answer for. You yearn for your suitor to be a smouldering Mr Rochester type, even though you yourself are hardly going to be cast as some swooning Jane Eyre. We would have thought that the ending of Jane Eyre was anything but rose-tinted, though, mainly because the 'smouldering Mr Rochester' is blind and maimed. Happy ending? Sort of, yes. Rose-tinted? Well, not really. On the blogosphere, The Puppy Who Lost His Way and Laboratorio de Escritura (in Catalan and calling the novel 'Jean Eyre') both post about Jane Eyre. Girl Clumsy picks Jane Eyre 2006 as one of her top five costume dramas. 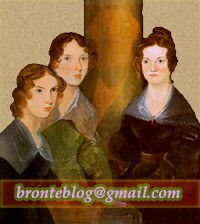 And Books, Books, Books reviews Syrie James's The Secret Diaries of Charlotte Brontë. I haven't listened to this programme yet, but it sounds interesting. It's true that as a portrayal of mental illness, Bertha is both sensationalist and inaccurate. However, this is not necessarily a fault: the role she plays in the book as a whole is complex and contradictory, as generations of literary critics will attest- a warning of the dangers of self-indulgence, a reminder of Rochester's troubling past, but also a representation of trapped, rebellious womanhood, linked to the young Jane in the Red Room. You are right Josephine K. I thought of Villette first too. I too believe that Bertha serves her role better in this form because with all the fuss and the danger she creates, she brings Jane and Rochester closer, plus with her depiction as barely human Rochester's actions seem more justified and Jane doesn't appeal as an usurper ,the other woman.